How well does this medical app serve as a mobile resource for medical students and residents learning basic medical procedures? 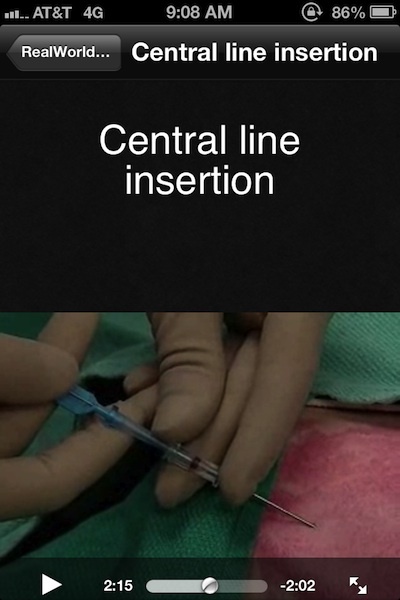 All medical students and residents must learn several basic procedures. These procedures range from drawing blood and inserting IVs to putting on sterile gloves and suturing wounds. RealWorld Procedures is a mobile app for iOS created by Hyperexis that organizes videos created by the PocketSnips Procedural Skills Project. It contains educational videos and descriptions of 12 common medical procedures. These introductory videos are aimed at medical students as well as the intern level. 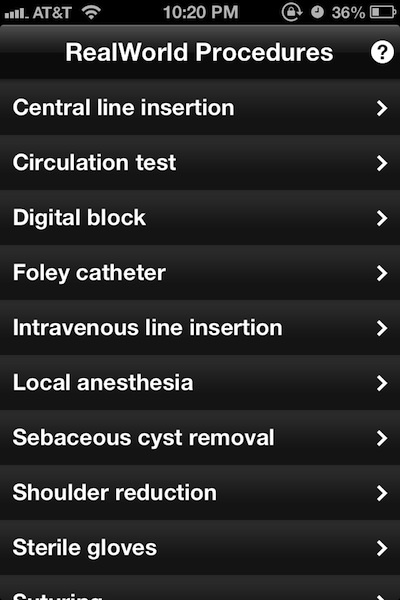 The main menu lists all available procedure videos. 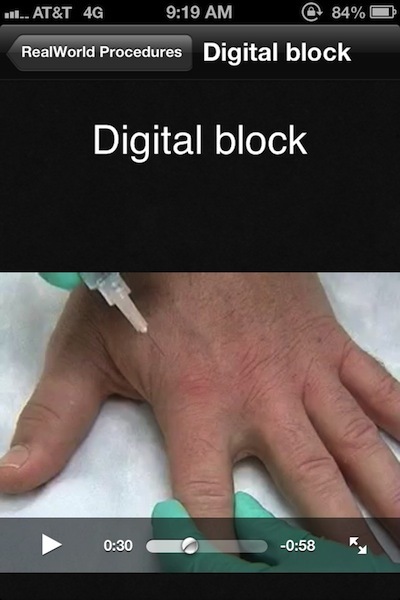 Each procedure is demonstrated in a short, narrated video. Some procedures are simulated, while others are performed on real patients. Videos are stored on the device and are available to watch even without internet or data access. 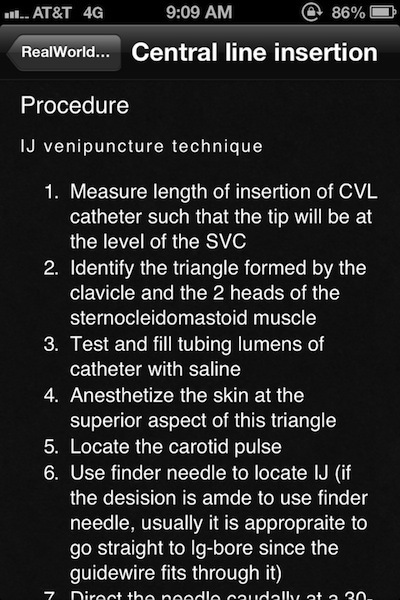 A detailed text description of the procedure follows each video. The text reviews the background, precautions, equipment, positioning, procedure, tips, complications, and patient education. Only criticism is that we would love to see more procedures! This simple, free medical app is an excellent resource for medical students and residents learning basic medical procedures. This app is not currently available on the Android platform. User Interface – ­ 5 -­ Very simple. Multimedia usage – ­ 5 -­ Excellent. Price – ­ 5 -­ Free. Real world applicability – ­ 5 – ­Very useful for the intended audience.